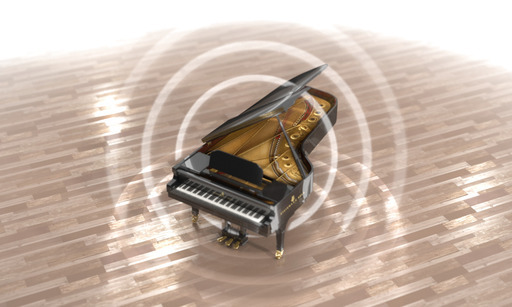 Modartt releases C. Bechstein Digital Grand concert piano for Pianoteq. 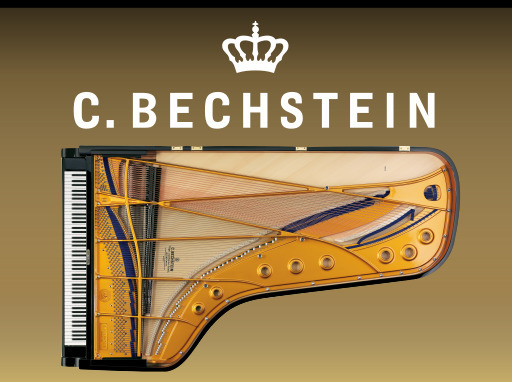 This physically modelled virtual instrument is authorized by C. Bechstein and is available as an instrument pack for Pianoteq 6. 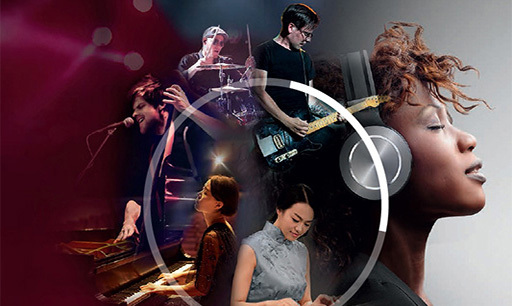 IMSTA Festa Berlin is a free event open to everyone in the music making community as well as music students and educators. It takes place on 27 October at the SAE Institute. 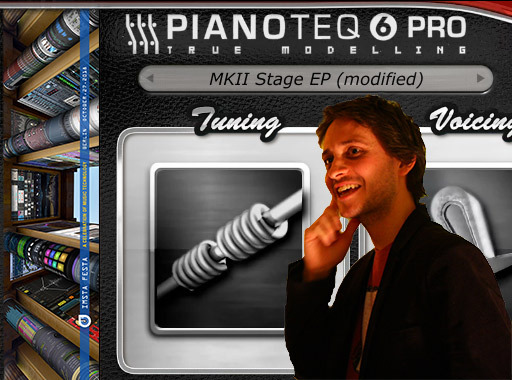 Pianoteq will be demonstrated by Leo Auri who is an accomplished multi-instrumentalist, singer and songwriter. IMSTA FESTA is a free event open to everyone in the music making community as well as music students and educators. The event takes place on 13 October. Pianoteq will be presented by Quincy Bullen who is an accomplished pianist, composer, producer, multi-instrumentalist and singer. Music China is the largest music show in Asia. It takes place 10-13 October at the Shanghai New International Expo Center. If you will be there, take the opportunity to visit the IMSTA Zone located in Hall N1 and check out Pianoteq Pro in action. Offer until 15 October: buy the new ANT. 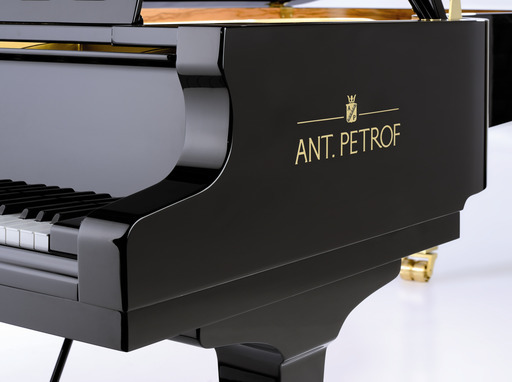 PETROF 275 instrument pack and get 50% discount on one additional instrument pack of your choice. 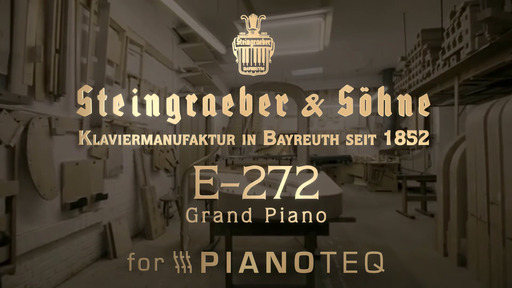 The Steingraeber E-272 concert grand piano is praised by many pianists as being one of the most distinctive and outstanding instruments on the market today. It offers innovative features, such as the Sordino pedal and Mozart rail, bringing a singing resonance and softer intonation when called for. All of this is offered in the brand new physically modelled Steingraeber E-272 instrument pack for Pianoteq, authorized by Steingraeber, capturing the characteristic Steingraeber sound with a range of colourful presets. 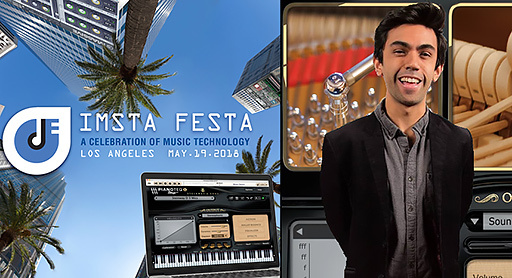 On May 19th, join the celebration of music technology packed with Panels, Workshops & Master Classes, Demonstrations, Song reviews and so much more. Register to attend this free event. Location: SAE Institute, 6700 Santa Monica Blvd, Los Angeles. 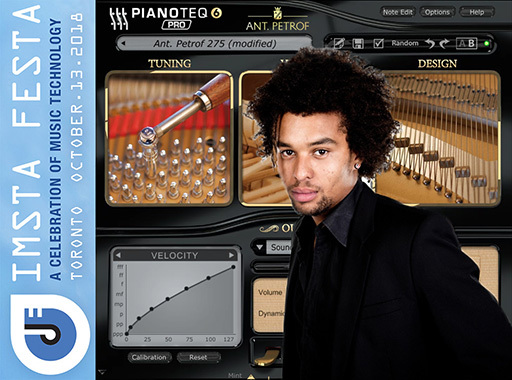 Pianoteq will be demonstrated by Zach Calderon who specializes in tailoring original music for motion picture. Version 6.1 introduces a new spatialisation technique which brings more air and presence to the instruments, increasing realism. Minor re-voicing has also been done on some instruments/presets. Furthermore, new features are introduced along with support for the NKS (Native Kontrol Standard) extended plug-in format from Native Instruments.